Have you ever caught yourself saying to your kids all of those phrases you swore you would never say? This one is one of my personal favorites – “I appreciate your input but when I need your opinion I will ask for it.” Typically this one surfaces when my kids think they need to rework, rethink, reinvent a plan that I have that doesn’t suit them just right. And then, as often God does with me, He points out how I can be guilty of the same unrequested assistance. 2 Kings 5 shares the story of Naaman. For many reasons this is one that speaks to me every time I read it. For those fellow list writers that may be reading this I can’t help but turn Naaman’s rant into a list. Do you see the list too? I can almost see his imagination playing out the scene but in my version Elisha loudly with a wand in hand chants abra cadabra – calimazoo – be healed. Are you with me? See Naaman had it all figured out. He had the actors, the script, the scene, all detailed. And when it didn’t happen that way Scripture records he “went off in a rage.” I am not sure if he was more upset that the scene didn’t go down as scripted or that he was still sick. I almost imagine for a moment he may have been more upset that things weren’t going as he planned. So when you read about his little tantrum do you cringe? Do you have a tendency to take your need to God along with your outline of how He should answer the need? Guilty here! Maybe that is why I love this story so…..because Naaman is just so human and relatable. The key to Naaman’s healing was to listen and obey. Do what you are told and trust God with the outcome. I can almost hear my heavenly father saying that to me. Just do what I say and I will take care of the rest. What a relief! Is that a relief to you too? Knowing you don’t have to develop the game plan, think through each scenario, weigh out each option. You don’t have to figure it all out – and you don’t have to give God your best ideas and suggestions in an outline. 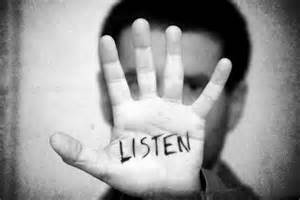 We simply have to listen and obey. Sound like something else you have said to your own kids? Maybe because somehow made in His image we find ourselves saying to our own kids what God may be trying to say to us.